Tomasz Owsiak is Global Shared Services Manager and Country Finance Controller for CH2M in Krakow, Poland. 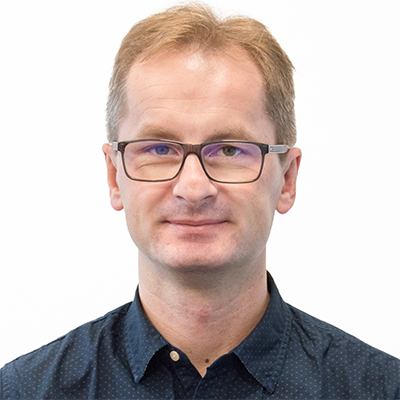 Tomasz is responsible for the development of Global Shared Services organization, taking part in management team running a captive center supporting a leading engineering and consultancy services company Jacobs Engineering (formerly CH2M HILL prior to last year’s merger with Jacobs). With $15 billion in fiscal 2017 revenue when combined with full-year CH2M revenues and a talent force of more than 74,000, Jacobs provides a full spectrum of services including scientific, technical, professional and construction- and program-management for business, industrial, commercial, government and infrastructure sectors in over 70 countries around the world. Tomasz has 20+ years in managing finance and accounting aspects of business for domestic and international companies across retail, manufacturing and service sectors. His journey in business services started 10 years ago with few dozens of employees supporting EMEA region and now developed to 650+ colleagues supporting business globally from Poland and India locations.